4.0 out of 5 based on 48 bloggers and 9 commenters. 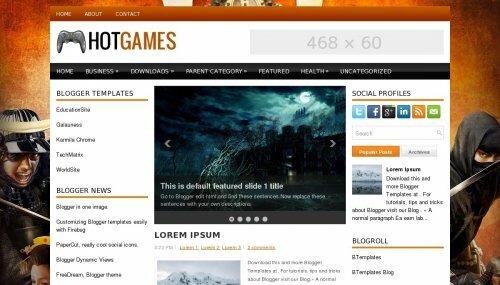 HotGames is a free blogger template adapted from WordPress with 3 columns, left and right sidebars, ads ready, slider, social bookmarking icons, posts thumbnails, tabs and drop down menu. Como eu faço para modificar o plano de fundo? como faço para modificar o nome? how to delete the drop down ?